He specifically outlined a push for foreign investment in manufacturing and high-tech industries and in central and western regions, adding that the government will help foreign companies address difficulties with investing in China. As a major global investment destination, China has maintained stable growth in foreign direct investment against a gloomy global setting. 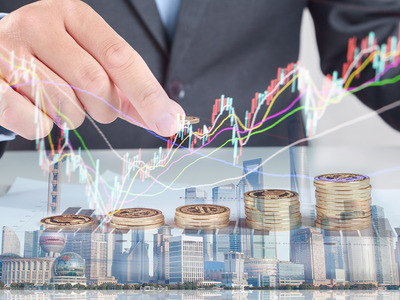 Its FDI grew by 3 percent year-on-year to 135 billion U.S. dollars in 2018, while the figures for the world as a whole and developed countries dropped 41 percent and 69 percent, respectively, in the first half of last year, said Zhong. The World Bank raised China’s ranking in terms of business environment by 32 places. Also, 95 percent of companies surveyed by the Washington-based US-China Business Council said they would increase investment or maintain their existing presence in China in the coming year, according to a report released in December. “The Chinese market has huge potential and sound prospects,” Zhong said. The country’s goods consumption, which is expected to achieve 9.1 percent annual growth in 2018 to 38 trillion yuan (5.6 trillion U.S. dollars), has served as the biggest growth driver for five consecutive years. Eager to enlarge their market share, a number of multinationals such as German automaker BMW AG and Exxon-Mobil Corp of the United States announced big-ticket investment plans in China last year. This comes as China steadily marches toward becoming the largest country in consumption of goods and services. California-based Tesla Inc broke new ground as construction started on its Shanghai plant on Jan 7. It became the first company to benefit from a new policy allowing foreign carmakers to start setting up wholly owned subsidiaries in China. It is also the city’s biggest foreign investment in manufacturing at 7.3 billion U.S. dollars. BASF SE, the German chemical giant, also signed an agreement with Guangdong province last week to further clarify details of its 10-billion-U.S. dollar Verbund chemical complex in Zhanjiang. He said the three major tasks of the Ministry of Commerce this year will be holding the second China International Import Expo, properly handling trade frictions with the US and pushing forward pilot FTZs and the Hainan free trade port.